In part 1 of our series about solutions for CMO Pain Points, we look at the power of Service Level Agreements (SLAs) to get Marketing and Sales working more productively on leads. Leads. How to get them, qualify them, and close them. Lead generation is what keeps marketers up at night. To add to the stress, marketing and sales are often not on the same page or speaking the same language. For example, what is the definition of a lead? Without an agreement, it can mean different things to different people. Getting in better alignment with sales and working from the same playbook is ground zero for CMOs and marketing heads. What’s at stake is significant revenue. Missed or blown opportunities cost money and can lead to finger pointing, with sales reps complaining about quality leads and marketing complaining because sales reps are not following up properly. A Service Level Agreement (SLA) can bring, simply put, agreement and accountability for sales and marketing for the process of qualifying leads and following up on them. 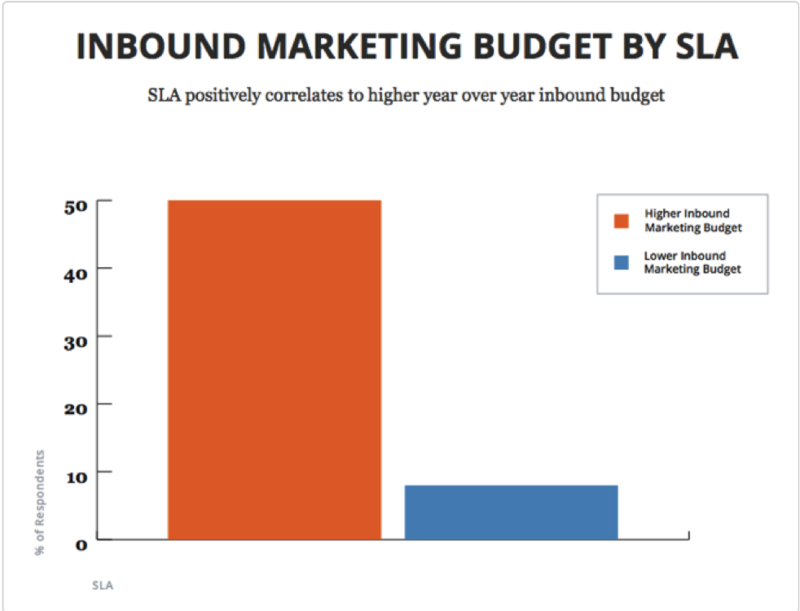 If that isn’t incentive enough, a recent HubSpot survey brings some surprising and encouraging news about the budgetary power of SLAs. So here are 3 things to know about SLAs. Let’s start with defining them for sales and marketing. 1. 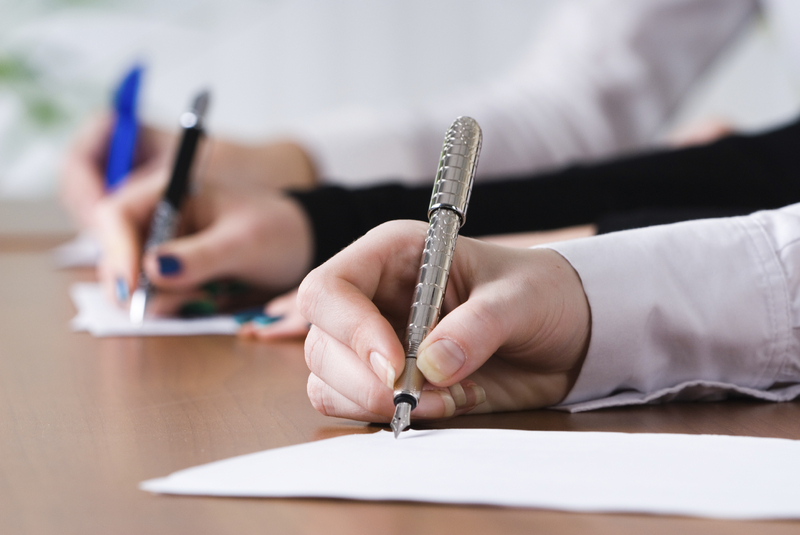 What is a Service Level Agreement (SLA) for marketing and sales? Basically, a sales and marketing SLA is a written agreement between the two departments. The agreement outlines a specific number of “quality” leads marketing commits to generating (quality to be pre-determined by specific criteria or prospect behaviors) and a specific follow-up protocol that Sales agrees to adhere to per the agreement. The key word here is specific. 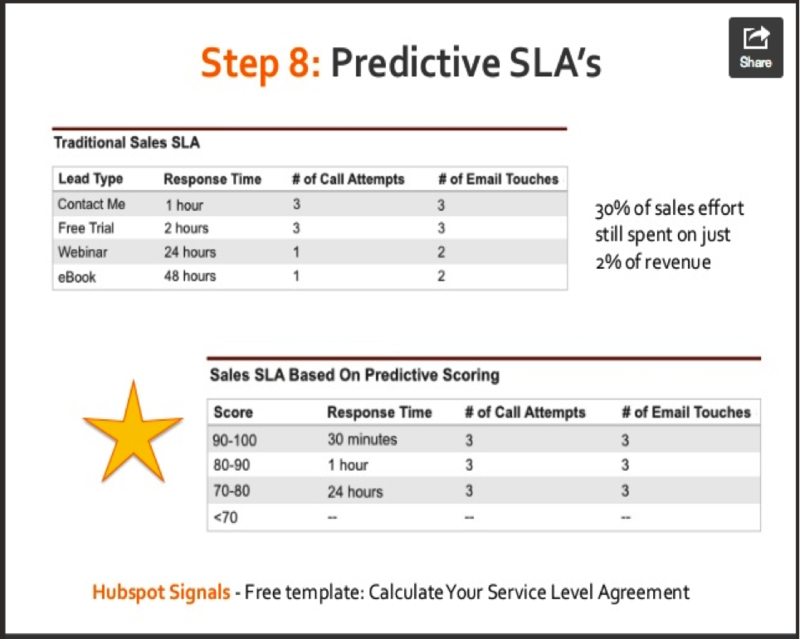 This HubSpot chart, from a webinar by our own Anne Marsden about why sales needs marketing to make quota, outlines how using predictive scoring in a SLA (qualifying leads based on likelihood of conversion) can help sales get more efficient by focusing efforts on higher probability leads. HubSpot’s recently released 2014 State of Inbound survey revealed that marketers who had an SLA with sales were 10 times more likely to have their marketing increased rather than cut. It should be noted that SLA adoption in the survey showed a strong correlation to budget size with a majority of companies with marketing budgets over $500,000 in the survey reporting SLAs with sales. A little over thirty percent of companies with budgets of $25,000 dollars or less reported SLA adoption. But, whether you have small or large budgets, it is critical. SLAs help sales and marketing agree on what constitutes a lead, how many quality leads will be delivered to sales, and how sales will handle the leads. The SLA helps sales and marketing define success separately and jointly. They also help to close the reporting loop and create accountability for both areas. But the SLA is an organized benchmark, not a panacea. Sales needs to communicate key customer and prospect information that helps marketing stay nimble with its content marketing. Marketing needs to keep sales in the loop about campaigns and how they are touching prospects. SLAs can help CMOs bridge the disconnect with sales by tackling the root of the disconnect – lead volume and quality and follow-up – with a plan of action that has specific criteria and benchmarks that equal success. A SLA can also help the CMO with another important relationship. The CEO wants to see ROI on marketing dollars but it can be a challenge to show specific value. More on the CMO and CEO relationship later on in this series. 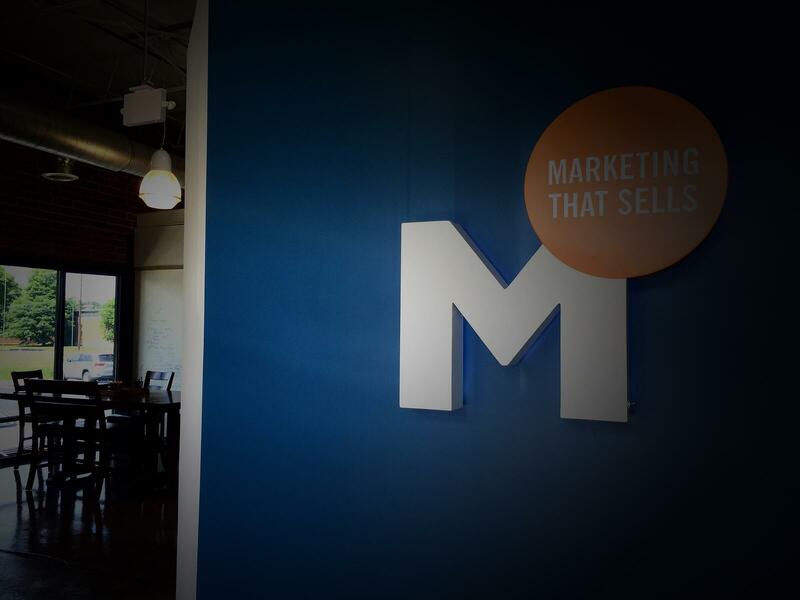 Want to learn more about how an SLA between sales and marketing can benefit your business? Watch our webinar, "Why Sales NEEDS Marketing to Make Quota".